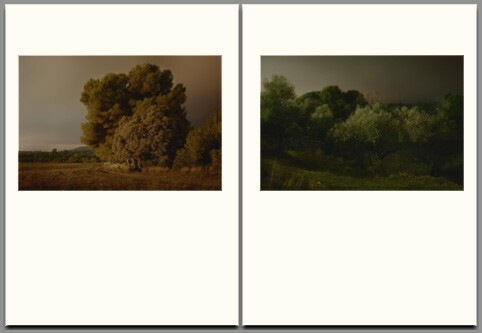 Poursuite Editions publishes great photography. 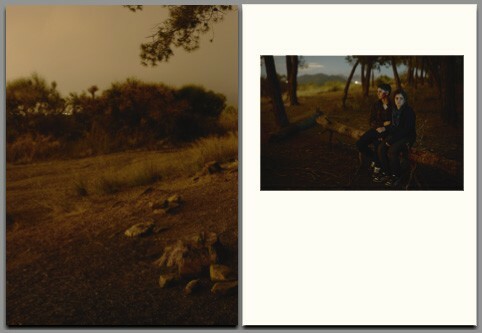 Whether it is moody landscapes or a haunting narrative, there is usually an underlying thread that ties together the publisher's aesthetic taste. The striking correlations implied by publishing both Benoît Grimalt's unassuming Do You Know Syd Barrett and François Deladerrière's L’illusion Du Tranquille provides insight into the intricate patterns that tie together all of Poursuite's titles. And having only published books for a few years, these objects have slowly grown in size and design quality. 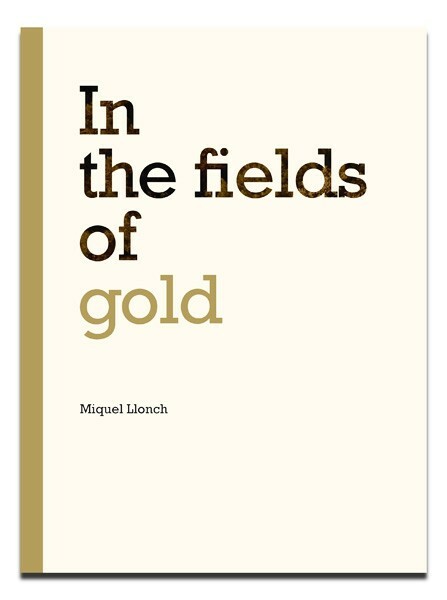 The latest addition to Poursuite's catalogue, Miquel Llonch's In the Fields of Gold, is a modest book containing a cinematic series of landscapes and portraits. Taking refuge in the outskirts of his hometown of Terrassa, Spain, Llonch seeks the open fields that lay on the edge of the city's woods. The fields, their edges and obstructing roads become surreal depictions of the real world as the photographer captures their transition from day to night. Taking photographs at dusk and capturing the distant city lights, Llonch's images offer a clear depiction of escape from the mundane. Here the viewer witnesses the transformation from light to dark, a transition that carries an emotional weight and mysterious ambience.